SUP and you're standing on top of the world! 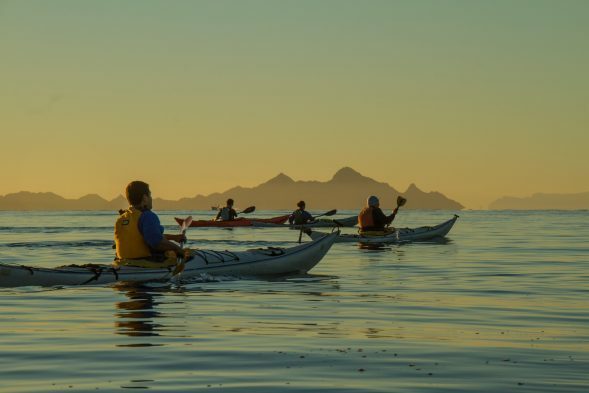 Getting you on the water when you want, and connecting you with other paddlers–this is what our Local Long Term Rental program is all about. Will you be in the community for 2 weeks or longer? 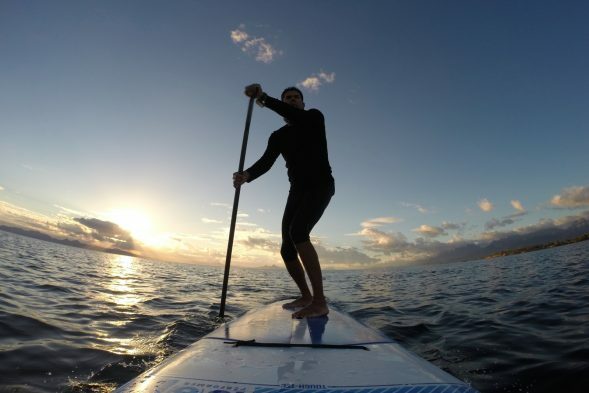 A subscription gains you access to a Sit-on-Top kayak or paddle board a certain number of total hours on your own schedule. 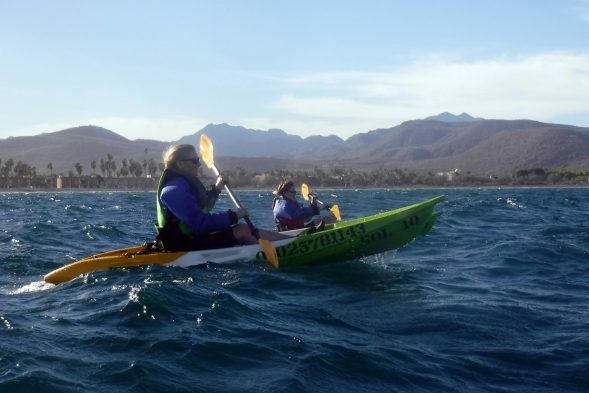 You can use the kayak or board on your own or join an existing waterfront tour with a guide at no extra charge. Just let us know when you’d like to use it, and it will be ready for you, or drop by during business hours, grab your craft of choice, walk it across the street, and hop in! Also, if you have your own boat and would like to join us on waterfront tours, sunrise and sunset and full moon outings, the subscription will gain you access to all existing waterfront tours at no extra charge. 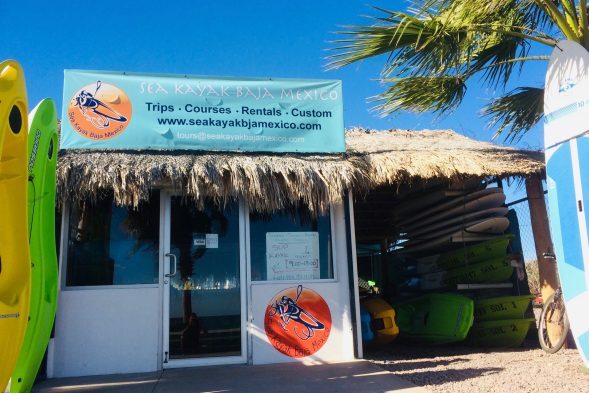 Please stop by the store on the waterfront or email tours@seakayakbajamexico dot com to inquire or sign up.